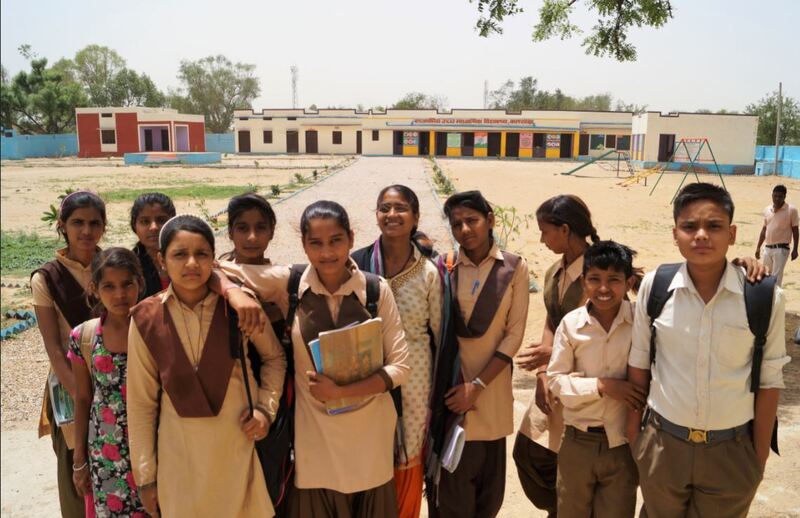 Schoolchildren from nine government schools in district Alwar, Rajasthan, are excited to see their schools with an all-new look and to receive new skills and trainings that are engaging their minds. Glimpses from some refreshing conversations with these transformed young lives. Read more . . .
“The metamorphosis was beyond my expectations,” said Kanchan, a student from grade nine of government senior secondary school in village Bhandwada indistrict Alwar, Rajasthan. Kanchan was a toddler when she started attending the village school which has a current enrollment of 351 students—176 girls and 175 boys. Kanchan has seen the school improve somewhat over the years; however, the most recent transformation has been a special one. Read more . . . In rural India, education for girls is still a daily struggle. Their dreams are often given a red light long before they can take flight. Community norms and existing conditions decide their fate, often acting as barriers to their education. Community radio Alfaz-e-Mewat listener, Islam, is a rapid-fire winner at recalling the names of programs aired on community radio. 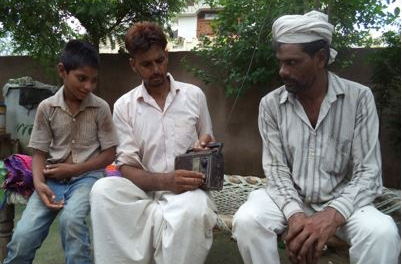 Islam, a resident of village Mohammadbas, district Nuh, Haryana, listens, remembers almost all the program names, and can talk at length about radio programs. Read more . . .
Anjali Makhija, director, Strengthening Village-Level Institutions, contributed a chapter on SDG 5 in a book titled Sustainable Development Goals and Panchayats, edited by Rajesh Kumar Sinha. Read the chapter . . .
A paper titled “Gender Gaps in Rural Farming: Key Challenges and Policy Responses” was presented by Susmita Guru and Richa Saxena as part of an International Conference on Achieving Youth specific SDGs: Key Challenges and Policy Responses” held on July 25-27, 2018 at the Rajiv Gandhi Institute of Youth Development, Ministry of Youth Affairs and Sports, Government of India, Sripurumbudur, Chennai. A study on "Gendered Analysis of the Livelihood Determinants and Vulnerability of Seasonal Migration in Khohar Village, Rajasthan” was presented by Aparna Radhakrishnan, coauthored by Vrindaa Sharma and Niti Saxena, in the two-day national seminar on “Labour Migration in the Post Liberalization Era (1991)” held in Delhi on August 18-19, 2018, jointly organized by Indian Social Institute, Bangalore and Indian Social Institute, New Delhi. 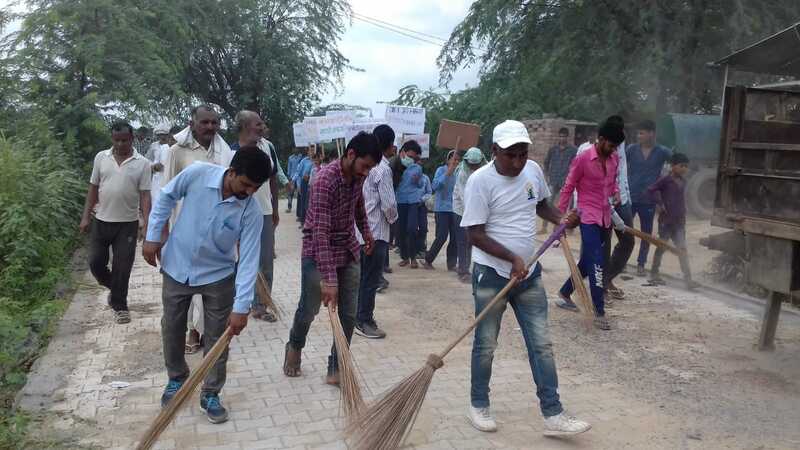 Villagers from Lujota and Niyaz Alipur in district Mahendragarh took to the streets in the month of July to clean their villages as part of a sanitation drive conducted under project Parivartan (change), a partnership between Sehgal Foundation and HDFC Bank. The drive aimed to promote cleanliness and hygiene with the villagers as these issues cause the spread of diseases. 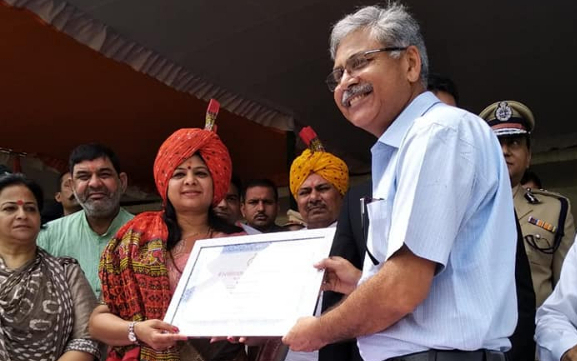 The district administration of Gurugram recognized Sehgal Foundation for its “best non-government organizational practices” in a ceremony held on August 15, 2018, in Gurugram. Honorable Ms Kavita Jain, women and child development minister, Govt of Haryana, presented the award. Mr. Lalit Sharma received the award on behalf of the Sehgal Foundation team. The Jagruk Krishak (aware farmer) project supported by India Development and Relief Fund (IDRF) in Umrain block of district Alwar, Rajasthan, is building capacities of women farmers as agricultural decision-makers.Interface meetings with farmers bridge the information gap and increase awareness about government programs and subsidies. 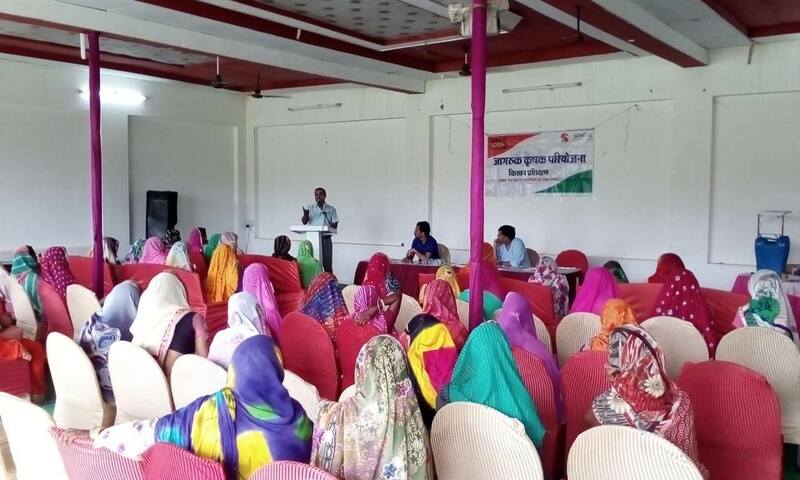 Women farmer groups received 39 solar spray pumps from Mr. Rajveer Chaudhary, agricultural officer, Alwar. Saroj, a resident of village Sahori, Alwar, now makes use of a solar spray pump for spraying medicines and fertilizers, rather than the conventional way, which was painful for hands and shoulders. 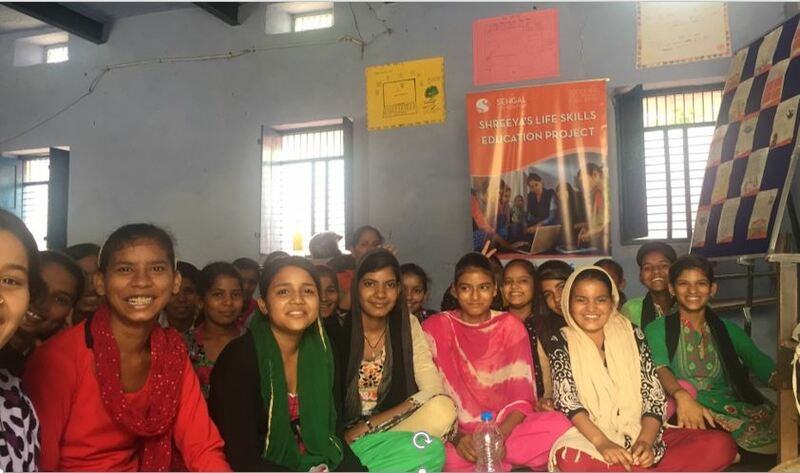 With support from Fluor Daniel India Private Limited, Sehgal Foundation implemented a school renovation project in Bukharaka village in Nagina block, Nuh district, Haryana. 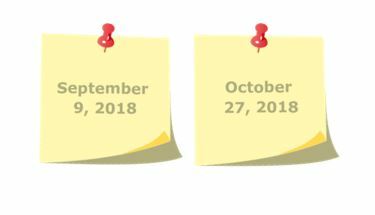 The work, initiated in January 2018, will produce a healthy and safe learning environment for 320 students. Key interventions completed under the project include repair of existing structural weaknesses of the building, creating new and necessary infrastructure, and providing a safe and child-friendly environment that encourages physical and intellectual development. Read more . . .